When this family wanted to create a children friendly kitchen space perfect for sociable dinner times, they came to Resi. 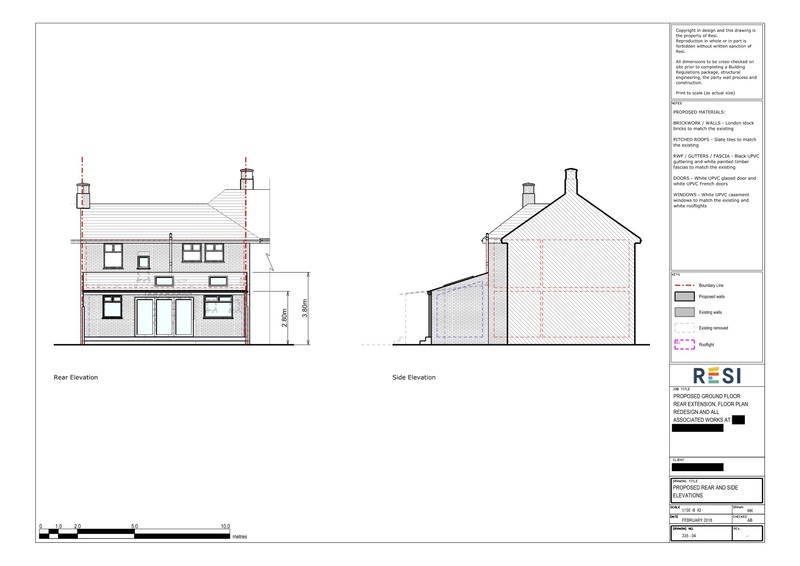 Not only did we create a bright and spacious ground floor rear extension through the addition of skylights and sliding doors, but our architects worked on a stunning redesign of the floor plan as a whole. In doing so, we transformed this divided living space into a modern, open-plan dining area suitable for the whole family. The desired result of this client's work with Resi was primarily the creation of a family-friendly kitchen space, an area of the house that would bring children out of their rooms and into the living area; they wanted to create a kitchen that made eating meals at the dining table the desired option for every family member. We listened to the client's requests and preferences, and designed a practical and attractive living space. The client's main request was the addition of light into the back of the house, and the repositioning of the outdoor shower and bathroom. Our solution was to open up the space, creating a beautiful open plan dining and reception space. We introduced two large skylights and bi-fold doors. 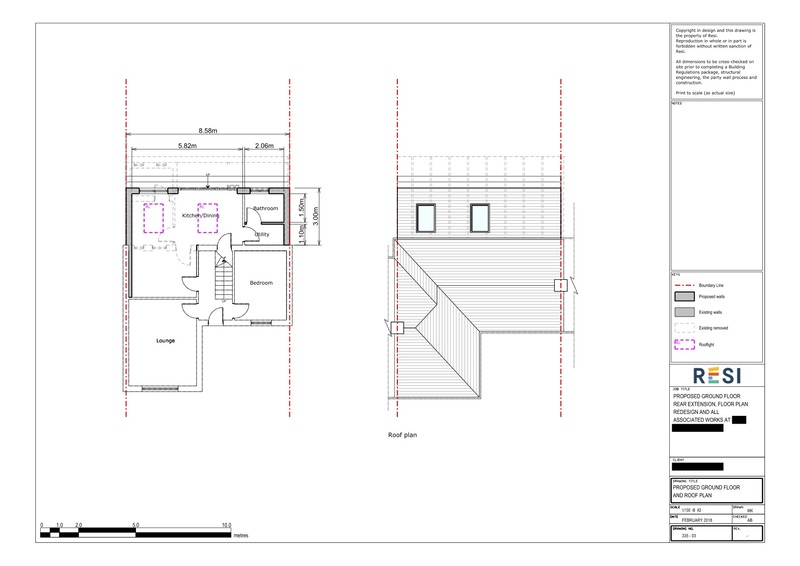 Furthermore, the removal of the client's lean-to and our repositioning of the shower and bathroom created a more logical floor plan for the property, resulting in a stylish and family friendly redesign. Now, the client can transition through each room seamlessly.